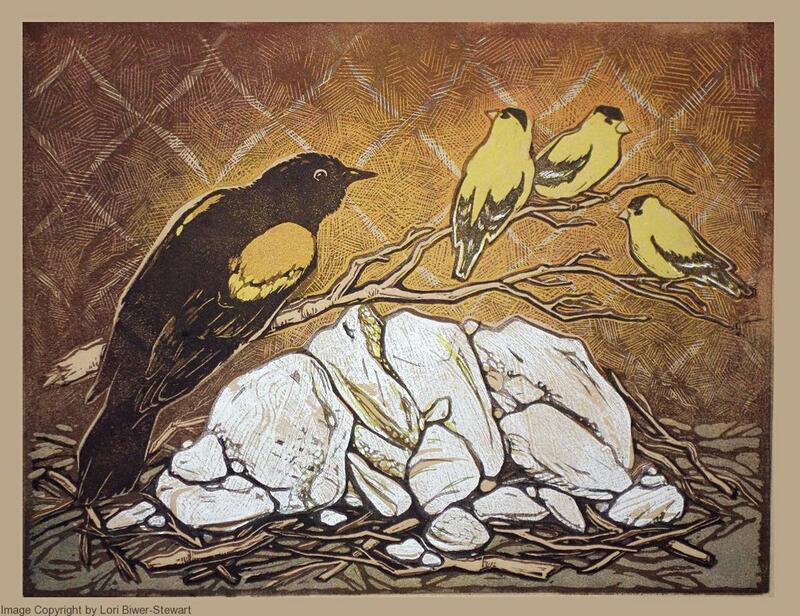 This piece features red winged blackbirds (which I LOVE) and goldfinches carefully balanced on a pile of rocks. Beautiful colors and textures. The tan paper that this image was printed on gives a real warmth to this piece. Two plate, 5 color reduction print. Edition of 42. This piece is shipped already matted with an archival, white mat and ready to frame.